Hello friends! Today I a, going to share with you a 3 ingredients green juice cleanse. This green juice works specifically on cleaning the liver. Your liver works like a factory that receives, filters and then repackages substances for use in the body or for safe removal of any toxic wastes. That’s why a healthy liver is essential to your life; the health of your liver determines the health of your entire body. You need to support it, and repair it when stressed, for optimal health. Nutrition from fresh produce and herbs are critical for all liver functions including detoxification. A liver detox is the first vital step for the body to begin to heal itself; so let’s give a deep cleansing breath to your liver! Simply place all the ingredients in a blender and mix well. Consume this green juice twice a week for perfect results. Hope you all have a great day and stay healthy! Sun-Friendly Food – Summer Tips! Hello friends! Summer is here and everybody is ready to get tanned. 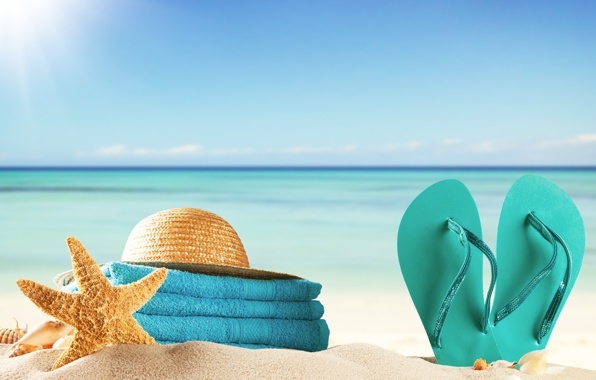 Feeling the sun on your skin when your sitting on the beach can be really enjoyable, however, the Ultraviolet radiation (UV) from the sun can wreak havoc on skin. Over time, it can cause sunburns, wrinkles, premature aging and skin cancer. Although wearing sunscreen is still the best way to avoid sun damage, some food can help protect and heal your skin from the inside out. That’s why today I am going to share with you 5 categories of food that have been shown to increase the skin's ability to protect against UV damage. Their secret is Antioxidants. Antioxidants are a person's mini-martyrs, running around the body and giving up their extra electrons to free radicals so they stop pestering the healthy cells. These compounds help fight free radicals, which are a nasty set of molecules that contribute to annoying problems like premature aging and can be a product of unprotected sun exposure. Fruits like Strawberries, pomegranates and red grapes are all are rich in antioxidants. Strawberries contain a powerful combination of antioxidants and vitamin C, which both help protect your skin from sun damage. In addition, they can help sunburned skin heal. Pomegranates contain ellagic acid, which can help protect your skin from cell damage induced by the sun’s UVA and UVB rays. Grapes contain proanthocyanidins and other polyphenols that inhibit skin cancer induced by UV rays.Lycopene is an antioxidant found specifically in tomatoes, aid in protection against some UV-induced skin irritations. The redder the tomato, the more lycopene it contains. 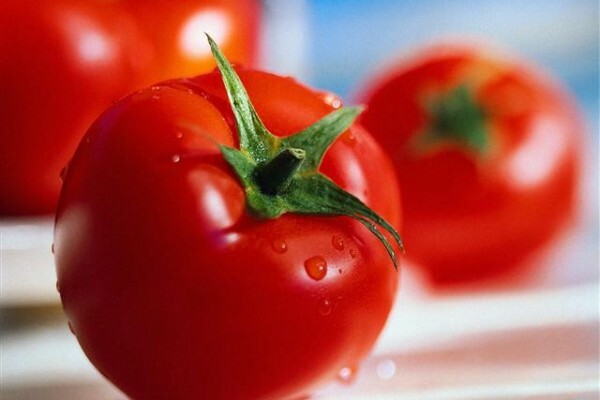 Additionally, lycopene is easily absorbed when the tomatoes are cooked, so reach for tomato paste, juice, soups, and sauces in a summer beachy day. Watermelon is also high in lycopene and contains 40% more lycopene than tomatoes. Beta-carotene, found in sweet potatoes and carrots, a type of carotenoid found in red and orange fruits and vegetables that have been linked to reduced reactions to sunburns. Orange and pink citrus fruits have also been shown to improve the skin’s ability to protect against UV rays. 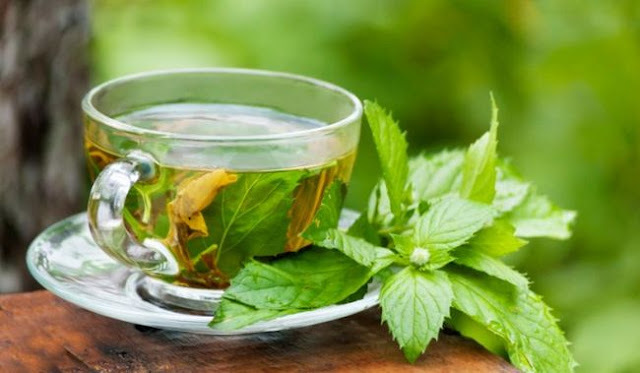 Green tea contains a high concentration of catechins, which boast anti-inflammatory, anti-aging, and antioxidant effects that fight off free radicals from the sun. It also contains polyphenols, plant compounds that some studies suggest may be effective in preventing cancer by limiting the blood supply to the cancerous area. 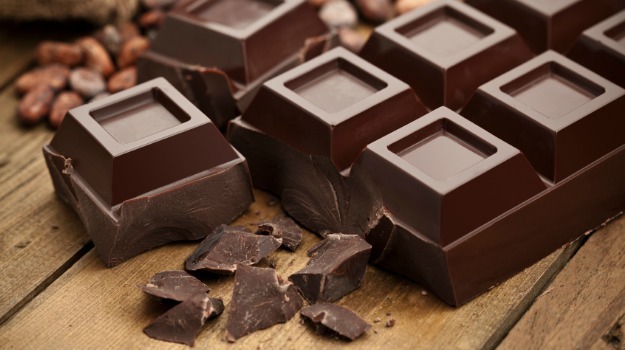 The amazing antioxidant flavanoids found in dark chocolate may improve the skin’s ability protect against some types of skin damage, including UV-induced issues like sun burns. 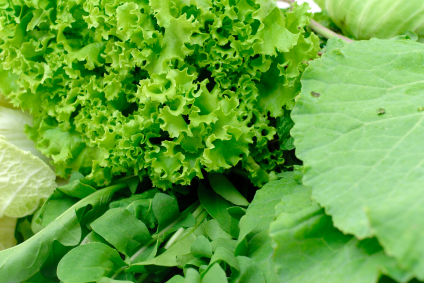 Leafy greens, like dark green lettuce, spinach, kale, and Swiss chard, are top sources of the antioxidants lutein and zeaxanthin, which halted cell growth prompted by UV radiations. 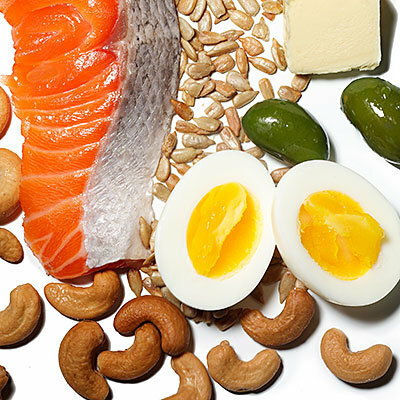 Foods like salmon, tuna, walnuts, almonds and flaxseed are all good sources of omega-3s and will help maintain that healthy layer of fat underneath the skin and thus prevent skin damage and aging. Finally don’t forget to drink plenty of Water because the sun dehydrates you, and dehydrated skin is more sensitive and prone to damage. For more hydration you can also consume coconut water (Check the benefits of drinking coconut water). That’ s all for today, I hope you all enjoy your summer! 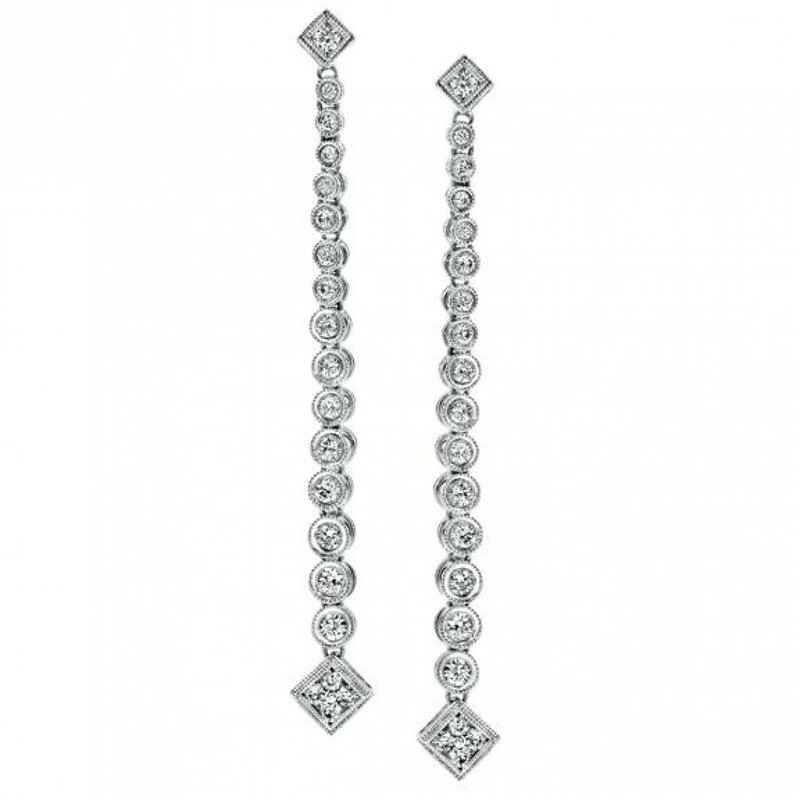 What are the Perfect Earrings for your face shape? Your aim: if you have a heart shaped face your aim would be to make your face seem wider. What to look for: you should be looking for earrings that will balance your face and accentuate your eyes and cheekbones. You will want earrings with soft, curving lines. 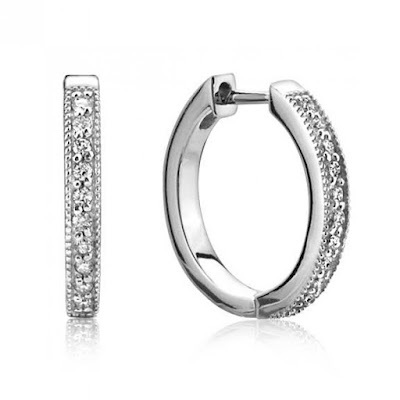 Pieces with volume near the chin that will soften your jawline. Your aim: if you have a square shaped face, your aim would be to soften your face. 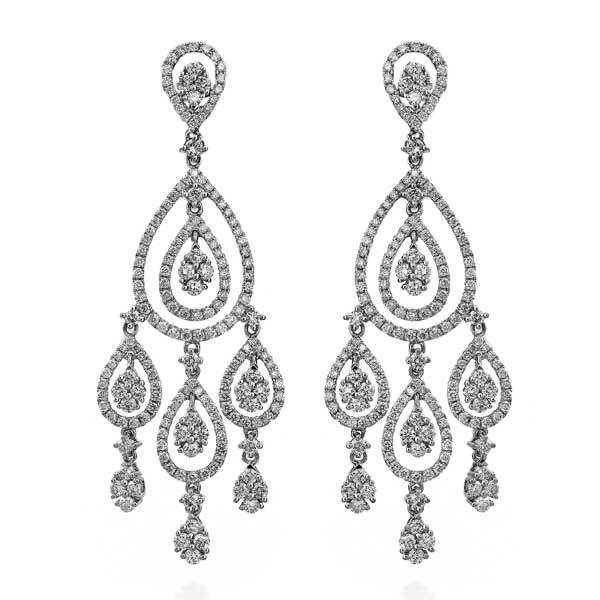 What to look for: you should be looking for earrings that will soften your cheekbones and your jawline and emphasize the broadness of your face. Your aim: if you have an oval shaped face, your aim would be to create an illusion of balance. What to look for: consider yourself lucky! If you have an oval face, any style of earrings would be suitable for you but your most flattering options will be ones that are of moderate width and fall between your jawline and chin. Your aim: if you have a round shaped face your aim would be to make your face look longer and less puffy. 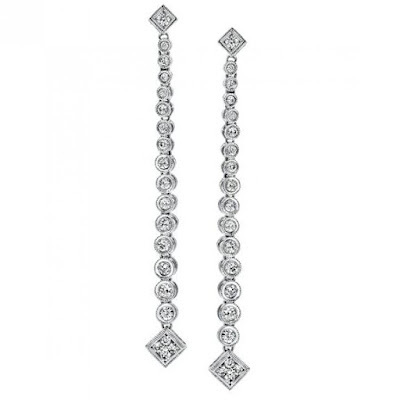 What to look for: you should look for earrings that are narrow and long with some geometry or angularity to offset your face’s natural softness. Your aim: if you have an oblong shaped face your aim should be to draw you eyes up. 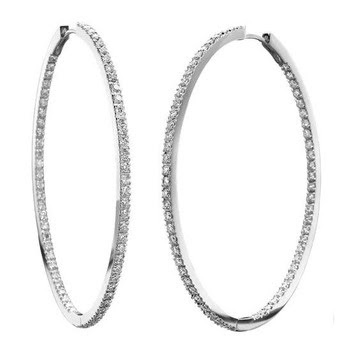 What to look for: you should be looking for wider earrings that sit close to your jawline to counter your face’s length with. 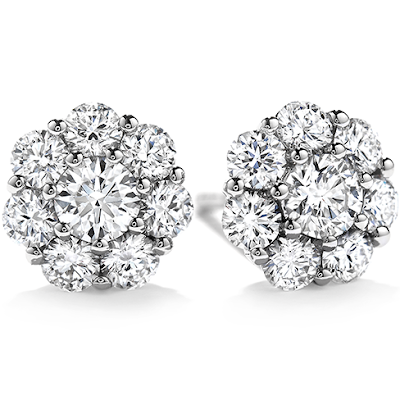 Your aim: if you have a diamond shaped face your aim should be to balance the angles of your face. Find out your face shape! Do you know what your face shape is? 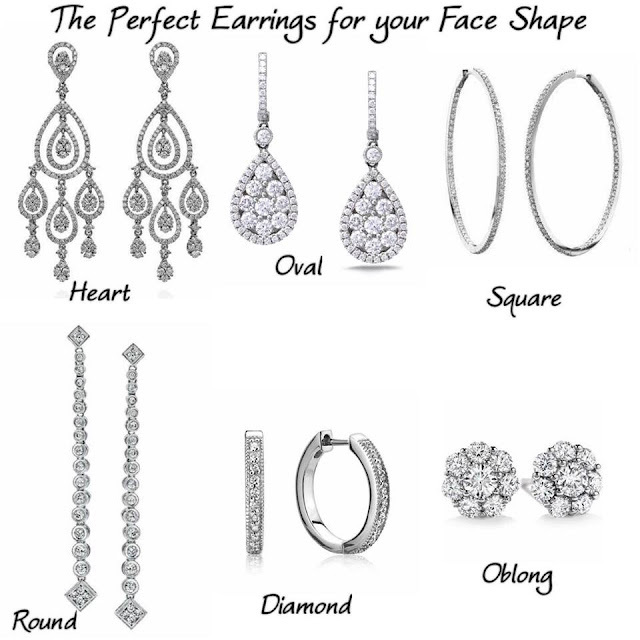 Every person's face is different, however, the vast majority of faces fit into one of the following categories: Heart, Square, Oval, Round, Oblong, and Diamond. 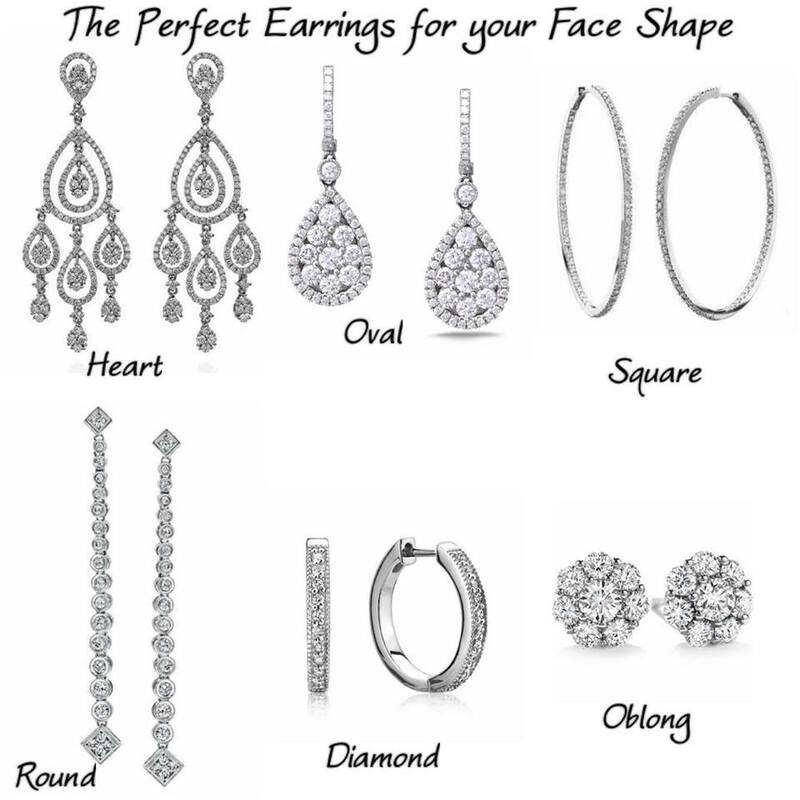 Knowing your face shape is very useful because that will help you pick the right earrings, the perfect haircut, makeup you should wear, a suitable pair of glasses, because a style that looks great on one face shape won't complement another face shape in quite the same way. 1. Forehead: Look straight ahead into a mirror and place the start point of the measuring tape on one side of your forehead at its widest point. Run the measuring tape along your forehead horizontally until you come to the same point on the opposite side of your forehead. 2. Cheekbones: Measure across your upper cheeks. Start by placing the end of your tape measure just past the outer corner of your eye. Then, lay the tape measure in a straight line across the bridge of your nose to just past the outer corner of your other eye this is the end point of measurement. 3. Jawline: Measure from the tip of your chin to the point below your ear where your jaw angles upward. 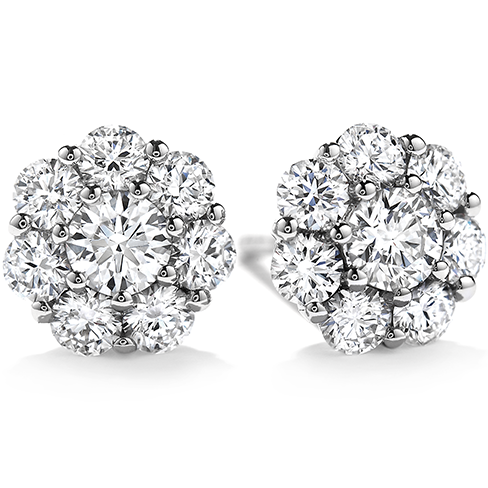 Usually, this is an inch or so below the bottom of your ear. Multiply that number by two to get the combined length of both sides of your jaw. 4. Face length: Find the exact middle of your hairline; this is your starting point. Run the tape measure down your face to the tip of your chin. Note which measurement is the largest, and use the information below to determine your face shape. Heart face is defined by the upside-down triangle shape, which results from having a relatively pointy chin and medium-to-wide forehead and cheek measurements. The heart face is generally a little longer than it is wide at the cheeks. Best face to refer to as heart shaped face is Reese Witherspoon. Square face the cheek, forehead, and jaw measurements for a square face should be fairly similar. The edges of a square face should be almost straight up and down. The angle of the jaw should be clear and sharp at its widest corners. Best face to refer to as squared shaped face is Olivia Wilde. Oval face is similar, proportionally, to an upside-down egg. It is longer than it is wide. Face length is larger than the width of the cheekbones, with a forehead that is slightly wider than the jawline and a gently rounded chin. Best face to refer to as oval shaped face is Jessica Alba. Round face is about as wide as it is long. Cheekbones and face length have a similar measurement. However, it has a relatively small forehead and a small, curved jawline, which also have a similar measurement. The angle of the jaw is soft. Best face to refer to as round shaped face is Ginnifer Goodwin. Oblong: Face length is largest. Forehead, cheekbones, and jawline are similar in size. 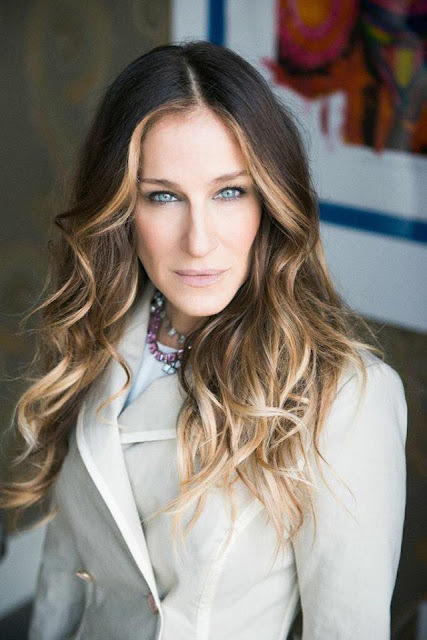 Best face to refer to as oblong shaped face is Sarah Jessica Parker. 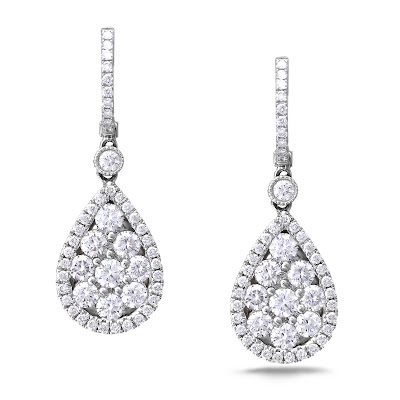 Diamond face: the Face length is largest. Then, in descending order: widest at the cheekbones, a tapering forehead and a skinny pointed chin. Best face to refer to as diamond shaped face is Taylor Swift.